The Mayberry Centre in Kingsbridge has been around for more than a decade. 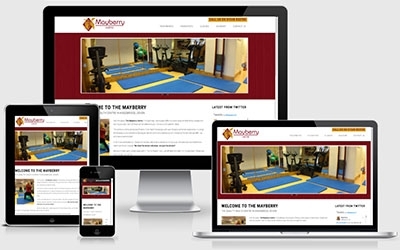 Over the last 10 years, Mayberry has grown significantly and continually adds to their number of exceptional services available to their clients. Not only do they offer a plethora of massage, rehabilitation & wellbeing treatments, they also run various classes and also a learning academy which offers accredited training courses on a wide selection of courses. Their requirements were to have a clean & modern, responsive website that could be easily controlled via the admin. Sam is great at keeping us running to point and he's focused on the end result. The website is fresh, usable and we’ve had some great feedback on it.